HISTORICAL DOCUMENTS AVAILABLE ON REQUEST FROM THE BUSINESS OFFICE. Completed the Water Facilities Inventory (WFI) survey. The WFI form is required by the Department of Health and contains information about LISE water system’s source of supply, water treatment, number of connections, population served, and contacts. Received tables and chair racks for the Clubhouse. Folding chairs are on backorder and will be shipped in December. Scheduled electrician to replace Clubhouse breaker panel and make minor repairs in mid-December. When this work is complete, we can proceed with vent hood installation and bring the range back to the Clubhouse kitchen. Had continued success with the new sweeper system. All roads in LISE were cleaned in about 4.5 hours, a substantial time savings from using the old walk-behind sweeper. Isolated a major leak to a short section of pipe on Hales Passage Drive near Scenic Place on November 30. We were able to shut off this section and will perform repairs as soon as possible. More water meters are beginning to lose battery power that transmits the reading to our vehicle, and requires a manual reading of each meter (the water meter continues to measure usage without a battery). On November 1, we had to manually read 21 meters. This increased to 36 meters during the meter reading on December 1. We currently have 6 meters out for replacement and no reserve meter heads in stock. Based on the limitations of the Master Meter warranty, we may need to purchase a group of new meters to replace the units with dead batteries and have a reserve for future failures. 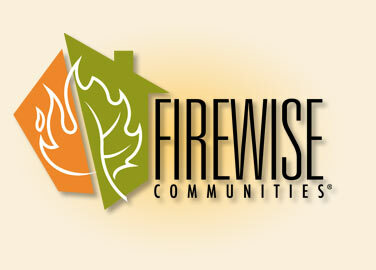 Learn how to Firewise your own home and have fun making our neighborhood a safer place.